Be their hero, Clark, be their angel, be their monument. Be anything they need you to be. Or grow a mustache... you don’t owe this world a thing. 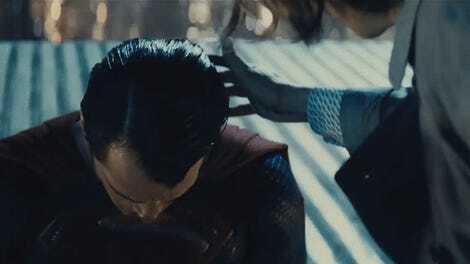 Perhaps the most joyful story in moviemaking for the past year has been the ongoing delight of stachegate—the absurdity of a spat between Henry Cavill’s reshoots on last year’s Justice League and filming the just-released Mission: Impossible—Fallout, a tale of impressive follicles and dodgy CGI. And now we know it all started with some good old fashioned studio pettiness. There have been reports in the past alleging a delightfully silly level of drama between Paramount and Warner Bros. over whether or not Cavill—who of course, plays the resurrected Superman in Justice League, and the fantastically mustached/fantastically named August Walker in Fallout—could shave the facial hair he grew for Fallout to return and shoot new material for Justice League in the wake of Joss Whedon’s arrival as director. Turns out, according to Fallout director Christopher McQuarrie, that level of pettiness is actually true. When the question came—the reshoots for Justice League came out—Roven called me, and he said, ‘We need your help and we need to shave Henry’s moustache. We need him to come back and we need to do these reshoots.’ And I said, ‘Look, Chuck, naturally I want to do everything I can to help you, but I also have to think about our production. Let me talk to everybody and figure out what the scheduling would be.’ And I went and spoke to [Mission: Impossible—Fallout producer] Jake Myers, and the suggestion was made through channels that we shave the moustache and Henry could begin to grow the moustache back and that then there would be—they would give us the resources to digitally fill in Henry’s moustache. Because like it or not, a fake moustache in close-up on a 75mm lens is never going to look like anything but a fake moustache. So, we offered the following compromise: Jake Myers calculated the amount of money that it would take to replace the number of shots, and essentially what Jake was able to project was about a $3 million visual effects budget. 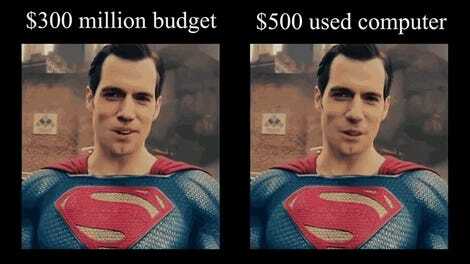 We said, here’s what we’ll do: give us the $3 million and we’ll shut down, and that will give Henry Cavill the time to grow his moustache back, and we’ll just shut our movie down. We said we’ll do this, at which point, somebody from Paramount Pictures said, ‘What is going on? What are you people even talking about?’ They’re like, ‘There’s no way we’re going to do that.’ We were just like, ‘Okay.’ That was the best plan that we could come up with. 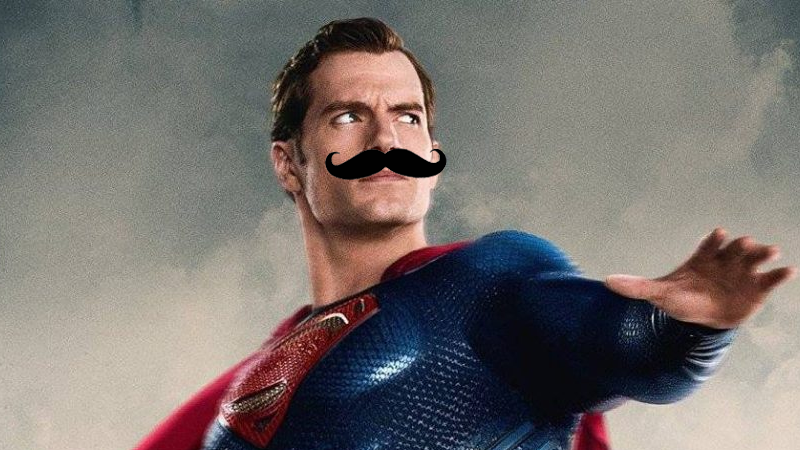 And thus, a legend began: Warner Bros. was forced to digitally shave Cavill for Justice League, leading to a decidedly dodgy-looking and oft-derided effect, months of fun stories about mustache drama, and now that Fallout is out, a chance to see the (rather fab, honestly) mustache Warner Bros. didn’t want you to see. Worth all this petty nonsense? Oh, absolutely.